Find the passwords below to our upcoming March freerolls on WPN. 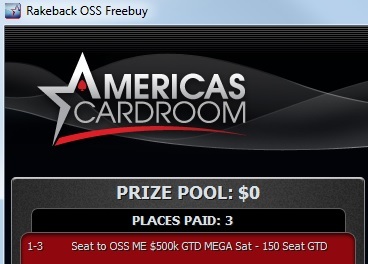 The top 3 finishers will receive an $80+$8 seat to the OSS ME $500k GTD MEGA Sat – 150 Seat GTD – 8391381 scheduled for March 18 at 10:00am. The top finisher will receive a $250+$15 seat to the BOSS ME $1M MEGA Satellite 20 Seats GTD – 8392423 scheduled for March 25 at 9:30am.